Caspar David Friedrich, who was born in Pomeranian, a town of Greifswald on September 5, 1774, was hailed as the most important German artist during his time. Friedrich was a Romantic landscape artist, whose career flourished during the time when almost all of Europe was growing disillusioned with the way society was putting more focus on material wealth. 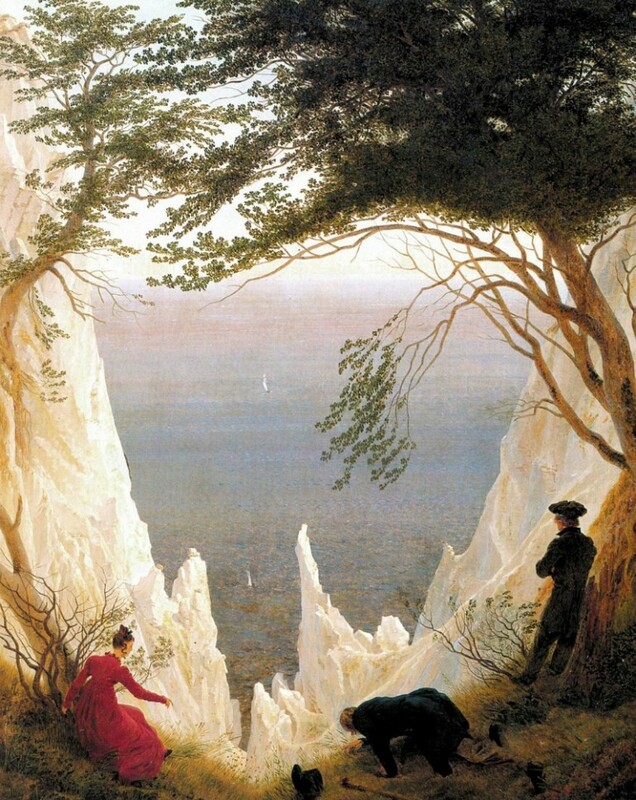 There was an increasing shift in appreciating spirituality, which showed in Friedrich’s allegorical landscapes where figures were often shown in contemplation. In most of his landscapes, figures were silhouetted against either Gothic ruins, barren trees, night skies or morning mist. The artist was primarily interested in contemplating nature and often sought to show emotional and subjective response to nature through his anti-classical and symbolic works. While there are figures in his work, they appeared miniscule against the very grand landscapes. Friedrich was still quite young when he started his training in art, taking formal lessons privately at the University of Greifswald from Johann Gottfried Quistorp. The present art department of the university is now named the Caspar-David-Friedrich-Institut. His teacher took them on excursions to do drawings outdoors, thus Friedrich was able to sketch from life quite early. He also met Ludwig Gotthard Kosegarten, a theologian who taught him that nature was a revelation that came from God. It was also through his teacher that Friedrich got introduced to the works of Adam Elsheimer, a German artist from the 17th century. The works of this artist included nocturnal subjects as well as religious subjects surrounded by landscape. In 1798 Friedrich entered the University of Copenhagen. He started by making copies of the casts of old sculptures and the moved on to drawing live subjects. He was able to gain access to the 17th century Romantic landscapes created by Dutch painters that are in the Royal Picture Gallery in Copenhagen. He later settled in Dresden. With the shift to spiritual awareness, artists were quick to respond, showing their thoughts and reevaluation of the real view of nature in their works, such as those done by John Constable, J.M.W. Turner and Friedrich himself. They depicted nature as something that was created by a divine hand, set against the artifice of the civilization populated by humans. As he settled in Dresden he experimented in the creation of etchings and woodcuts. There were only a few of these and apparently they were given to friends. Friedrich also created work in sepia, watercolor and ink. These were basically his mediums as he rarely did painting in oil except for a few, like the “Landscape with Temple in Ruins.” That was what he did until he had solidly established his reputation. Out of the many subjects, he was more inclined to work on landscapes, getting inspiration from his trips to the Harz Mountains, the Krkonoše, Bohemia and the Baltic coast, showing various light effects at different times of the day, as well as harbors, hills and woods. He created several studies and sketches before finally setting the composition on canvas. Often his paintings were created from memory, depicting light, illumination from the moon and the sun on water and clouds and other optical phenomena that could only be seen at the Baltic coast. Although his works were obscured by the emergence of other styles and movements, his works were once again brought into the limelight in the early 20th century by the Expressionists, Surrealists and Existentialists, which eventually led to him gaining international fame in the 1970s. Andreas Aubert, a Norwegian art historian rediscovered Friedrich at the turn of the 20th century. Even the Symbolist painter, Norwegian Edvard Munch, painter of “The Scream” would have seen the works of Friedrich in Berlin. 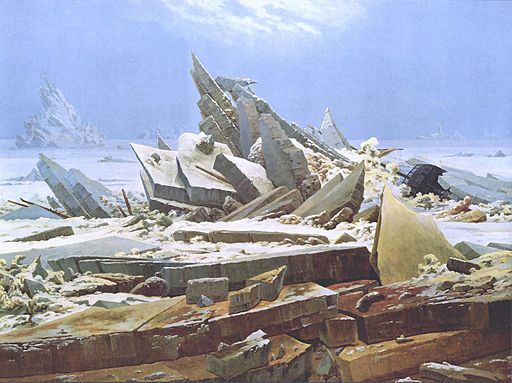 There were many artists that were influenced by the landscapes of Caspar Friedrich, including Max Ernst, René Magritte, Paul Nash, Mark Rothko, Gerhard Richter and Anselm Kiefer.